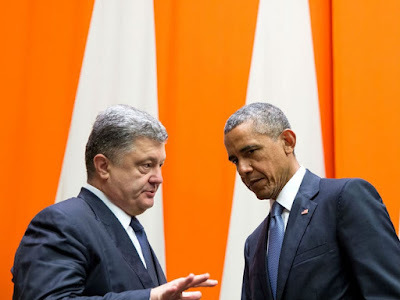 Has Washington Done Enough To Support Kiev? WASHINGTON, DC -- In an interview with Jeffrey Goldberg of the Atlantic, President Obama laid out key elements of his approach to foreign policy. There is much in it with which one can agree. “Don’t do stupid s——” makes sense as an axiom of foreign policy—or of any policy, for that matter—as does taking deliberate and strategic decisions about when to engage American military power. As regards the two-year-old conflict between Ukraine and Russia, the president said Ukraine is a core interest for Moscow, in a way that it is not for the United States. It is hard to dispute these points… except that the president set up a straw man. The United States could have done more to help Kiev resist the Kremlin’s aggression without a war with Russia. 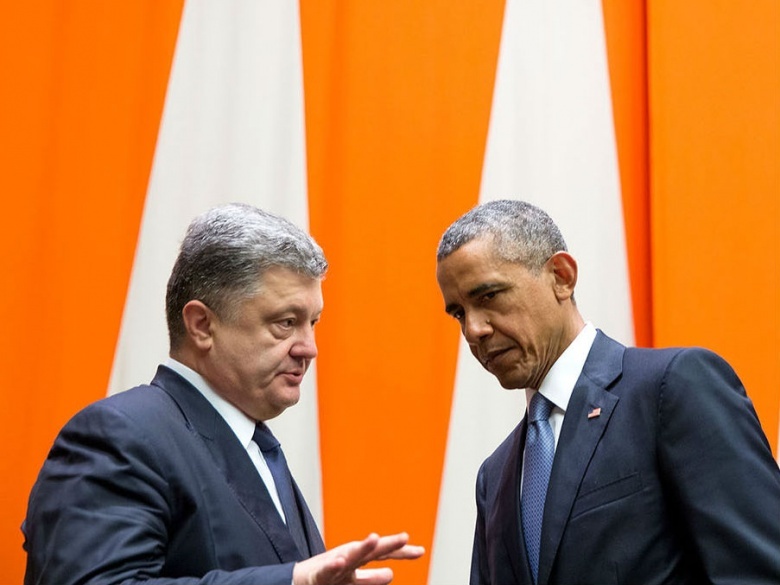 There are critical reasons for Washington to support Ukraine. The Kremlin is pursuing a revisionist policy designed to undermine the post–Cold War order established in Europe. Vladimir Putin claims a right and duty to intervene to protect ethnic Russians and speakers wherever they live and regardless of their citizenship. He used that as a justification to invade Georgia in 2008 and Ukraine in 2014. 25 percent of the populations of two NATO member states—Estonia and Latvia—are ethnic Russians. Recent Russian provocations in the Baltic states include kidnapping an Estonian counterintelligence official on the final day of the last NATO summit. Making Putin pay a heavy price for his aggression in Ukraine makes it less likely that he will commit further provocations in the Baltic states. Such provocations could lead to miscalculations and the war that President Obama wants to avoid. Moreover, in 1994, the leaders of the United States, Britain and Russia signed the Budapest Memorandum, in which they committed to respect Ukraine’s sovereignty, independence and territorial integrity and pledged not to use force against that country. That memorandum was key to Kiev’s decision to give up nearly two thousand strategic nuclear warheads and the associated strategic missiles and bombers. This was a major victory for U.S. policy, and for nonproliferation. Moscow’s violation of this agreement is a strong disincentive for future nations to give up weapons of mass destruction. The Obama administration rarely mentions the Budapest Memorandum, but that memorandum answers the “why should we care?” question that Obama implied in his interview with Goldberg. It should keep providing Kiev political support, and work with the European Union to offer additional financial assistance, provided that Ukraine accelerates reforms and anti-corruption measures. It should also provide additional military assistance. On the last point, we are two of eight coauthors of a report issued early last year—“Preserving Ukraine’s Independence, Resisting Russian Aggression: What the United States and NATO Must Do”—that argued for providing Ukraine additional military assistance, including light antiarmor weapons. Those were intended to fill a gap when the Russian military was pouring tanks and other armored vehicles into the Donbass. The administration rejected lethal military assistance. In our meetings last year with senior U.S. officials, it was apparent that the White House’s main concern was escalation: that the Russians might out-escalate the United States, or that U.S. leaders would find themselves on an escalation ladder that would end up with the Eighty-Second Airborne Division deploying to Donetsk. These were good questions to raise, but they had good answers. Could Moscow escalate if the United States provided light antiarmor weapons? But would Moscow escalate, given the risks—more dead Russian soldiers, which the Kremlin disgracefully hides from the public, and additional sanctions on an economy already mired in recession? As for an escalation ladder, Washington would control that. None of the report’s coauthors advocated sending U.S. soldiers to fight or even proposed high-end arms. Washington would have owed it to Kiev to make clear where it would draw the line, but the argument that providing some arms would have led to an inevitable U.S.-Russian military clash does not hold water. This is what is troubling about the president’s view of the conflict. If the choice is between continuing what the United States is currently doing and World War III with Russia, it’s a no-brainer. The president, however, rejected lesser steps, which would not have led to war with Russia, but that would have taken away easy military options from Moscow and increased the prospects of a genuine settlement.